Exercises to give you immediate pain relief, improve your joint strength and flexibility, and circulate the life force energy. This item is eligible for free shipping (Conditions apply). Qi Gong is an ancient movement practice that combines strengthening, stretching and flowing movements for a strong, healthy body and relaxed, calm mind. Exercise is essential to comfortable, pain-free joints. Joints are places where bones meet with tendons and muscles. Over time, repetitive motion, stress and improper posture deplete our joints and bones of vital life force energy. According to the wisdom of Qi Gong, without correct posture and movement energy gets stagnant in the joints. Stagnation is an underlying cause of this deterioration; like standing water, “stale” energy leads to pain and stiffness. A growing body of research shows that Qi gong is powerfully effective for treating arthritis and osteoporosis. They also relieve common problems of over use and stiffness. Once you experience the complete Qi Gong for healthy joints workout you will understand why millions of people worldwide use these exercises to stay active and independent. The workout is gentle and powerful, and will help you stay strong for life. 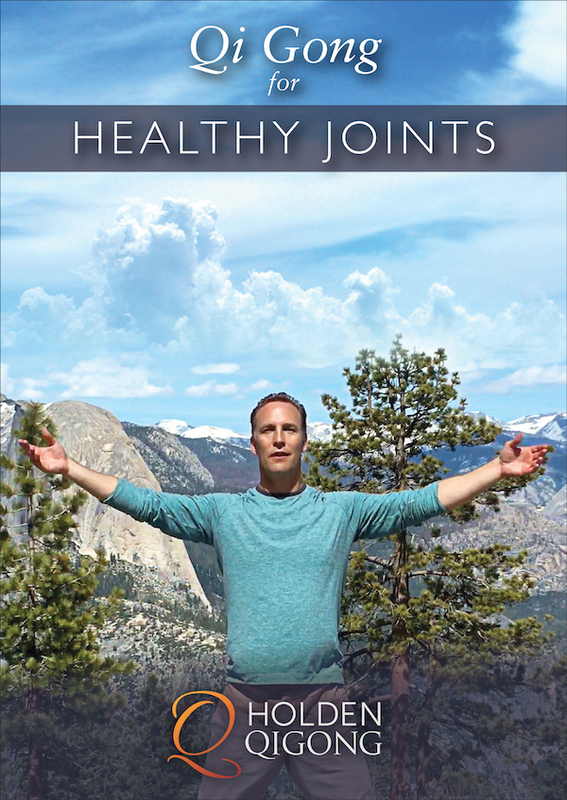 Join Lee Holden in beautiful Yosemite and practice exercises to give you immediate pain relief, improve your joint strength and flexibility, and circulate the life force energy.